For more information or to leave comments, see form at bottom of page. 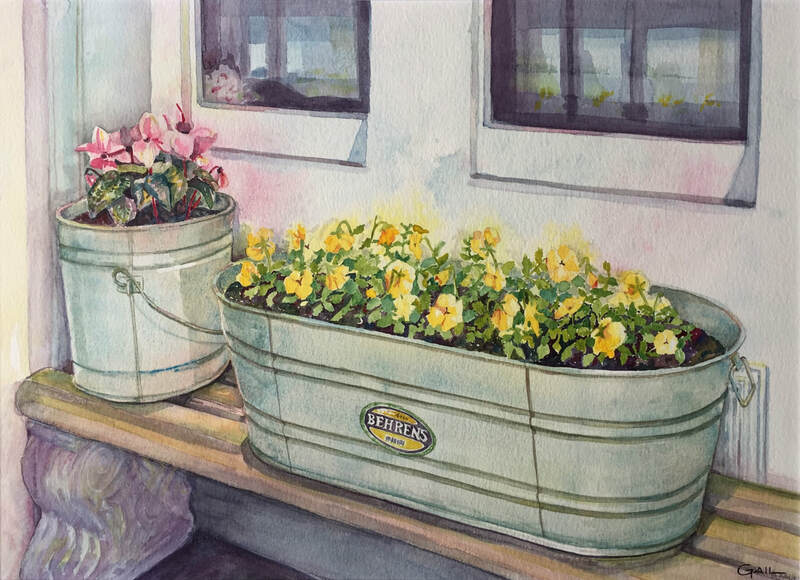 Entanglement - Watercolour - Framed - 22.5"X 28.75"
At The Market - Watercolour - Framed - 28"X22"
Hats Off - Watercolour - Framed - 16"X20"
The Mill - Watercolour - Framed - 22.25"X 28.5"
Grandma's Porch - Watercolour - Framed - 20"X29"
Three Sunny Friends - Acrylic - 12"X12"
Chloe - Pastel - 15"X17"
City Rose - Watercolour - 25"X19"
​​Gallery - Click on image to enlarge and show information. Three Sisters - Acrylic - 12"X12"